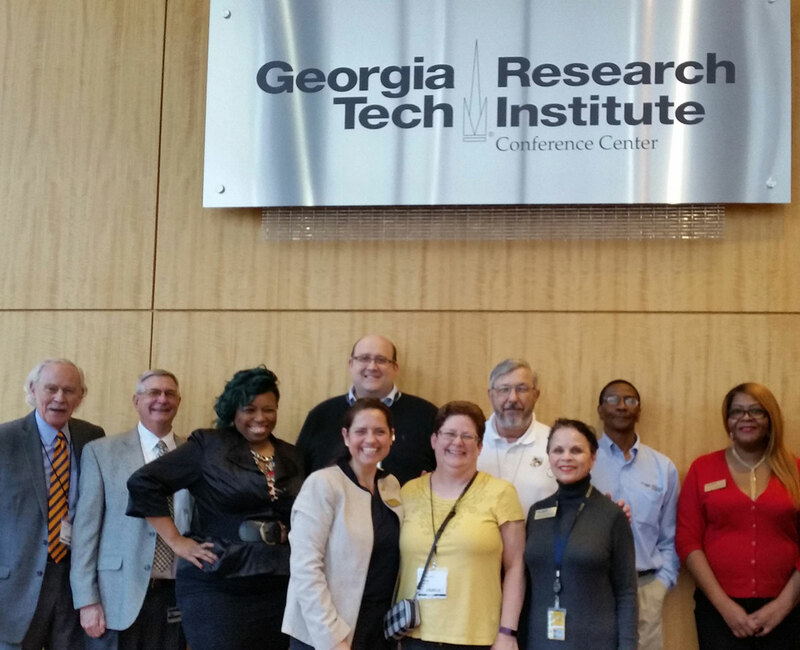 In celebration of National Veterans Small Business Week, SBA’s Regional Administrator Ashley D. Bell will honor Veterans located in Georgia’s #VetBiz communities. If you’re a Veteran needing start up assistance; business support services; funding for development growth and expansion; or an existing business owner with a focus on growing your business through government contracting, don’t miss this event. The forum includes business to business networking and direct 1-to-1 conversations with experts: counselors, mentors, trainers, and government procurement officials. The January 10, 2018, edition of the Federal Register, contains a proposed rule by the U.S. Department of Veterans Affairs (VA) that would amend the VA’s regulations governing its Veteran-Owned Small Business Verification Program. Public comments on the proposed rule must be submitted on or before March 12, 2018. The proposed rule is designed to implement §1832 of Public Law 114-840, the National Defense Authorization Act (NDAA) for Fiscal Year 2017, which placed responsibility for issuing regulations relating to ownership and control for the verification of Veteran-Owned Small Businesses (VOSBs) with the U.S. Small Business Administration (SBA). VA’s proposed regulation will remove all references to ownership and control and seeks to add and clarify certain terms and references that are currently part of the VA’s verification process. 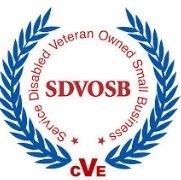 The NDAA also requires, in certain circumstances, that a firm may qualify as a VOSB or Service-Disabled Veteran-Owned Small Business (SDVOSB) when there is a surviving spouse or an employee stock ownership plan (ESOP). The NDAA provisions designate the SBA as the federal agency responsible for creating regulations governing ownership and control. As regulations relating to and clarifying ownership and control are no longer the responsibility of VA, the VA is proposing to remove six definitions that relate to and clarify ownership and control. Specifically, VA is proposing to remove the following definitions: Day-to-day management, day-to-day operations, immediate family member, negative control, the same or similar line of business, and unconditional ownership. In addition, the VA is proposing to remove one additional definition, VetBiz.gov, in anticipation of changes to the location of the Vendor Information Pages database. In addition, the VA is proposing to amend the definition of Center for Veterans Enterprise by changing the term to Center for Verification and Evaluation (CVE) to reflect the name change effectuated at 78 FR 59861, on September 30, 2013. The definition of CVE would be further amended to reflect the change to the functions of CVE office to verification activities. The last sentence of the definition will be removed to clarify CVE’s function. Amend the definition of “joint venture” to conform to the amendments to 13 CFR part 125 as it pertains to SDVOSB joint ventures. 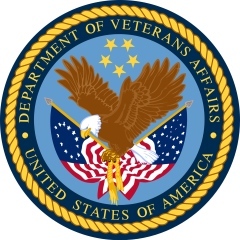 The VA has also added language to clearly address the current policy by indicating that at least one venturer must be a VOSB. Amend the definition of “Office of Small and Disadvantaged Business Utilization” to more accurately reflect the role fulfilled by this office with respect to VOSB matters. Amend the definition of “non-veteran” to remove the reference to VetBiz, as VA is considering moving the site which hosts the Vendor Information Pages database. Amend the definition of a “participant” to emphasize CVE’s role in verifying status. Amend the definition of “primary industry classification” to make a technical change to use the acronym NAICS as it has already been defined in a parenthetical earlier in the definition. Amend the definition of “principal place of business” to change “day to day operations” to “daily business operations” in order to match the wording in 13 CFR 125.13. Amend the definition of “service-disabled veteran” as the current definition has led to confusion regarding the documentation necessary to establish a service-connected disability. The VA says this change would also help increase program efficiency by specifically referencing BIRLS, the system that allows CVE to quickly and accurately determine veteran status. Amend the definition of “service-disabled-veteran-owned small business concern” to align the definition with the definition for “small business concern owned and controlled by service-disabled veterans” proposed by SBA in the amendment to 13 CFR 125.11. Amend the definition of “small business concern” to align the definition with the definition for “small business concern” proposed by SBA in the amendment to 13 CFR 125.11. Amend the definition of “surviving spouse” to reorder existing language and incorporate additional requirements outlined in the NDAA. The amended definition would provide that immediately prior to the death of the deceased veteran the concern must have been owned and controlled in accordance with 13 CFR part 125 and the concern was listed in VIP. Amend the definition of “Vendor Information Pages” to replace the reference to the website http://www.VetBiz.gov with the website that is the successor to VetBiz.gov and allow for CVE to make reasonable and necessary adjustments without the need for an amendment of the regulation. Remove the definition of Vetbiz.gov to account for anticipated changes to the location of the Vendor Information Pages database. Amend the definition of “verification eligibility period” to reflect the current eligibility period of 3 years, which was effectuated via publication in the Federal Register on February 21, 2017 at 82 FR 11154. Additionally, a technical change would amend the reference to “Center for Veterans Enterprise” by replacing it with the abbreviation CVE. A final technical change would replace the word “year” with “eligibility period” to agree with the change in the first sentence. Amend the definition of “Veteran” to add a reference to the Veterans Benefits Administration (VBA). This revised definition is meant to be inclusive of all persons who served on active duty and were discharged or released under conditions other than dishonorable. Historically, the program has had an issue wherein applicants who did, in fact, qualify as veterans under the statutory definition, did not meet the standards outlined in § 74.1. This change is not intended to create a new class of Veteran, but rather to clarify that those who are eligible under the applicable statutes will be found eligible for participation in this program. Amend the definition of “Veterans Affairs Acquisition Regulation” to remove the term U.S. Department of Veterans Affairs and replace it with the abbreviation for VA as previously defined in § 74.1. Amend the definition of “Veteran-owned small business,” in accordance with the NDAA, to reflect that stock owned by ESOPs which in turn are owned by one or more veterans are not included in determining requisite ownership percentage, and to use the abbreviations that have been previously defined in § 74.1. Amend § 74.2 by revising paragraphs (a)-(e) and adding a new paragraph (g). In both 2010 and 2012, GAO published reports tasking VA with reducing potential instances of fraud, waste, and abuse. VA has found in its administration of the verification program that the use of the procedures identified in § 74.2 protects VA acquisition integrity and diminishes ongoing exposure to fraud, waste, and abuse. Therefore, for such limited situations as identified in § 74.2, and only in these limited instances, VA finds that immediate removal from the public listing is warranted in order to protect the integrity of VA procurement. Accordingly, the proposed amendments to § 74.2 would serve to more comprehensively outline the circumstances under which a participant would be found ineligible for the VOSB Verification program. 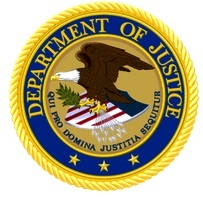 Amend § 74.2(a) to add the clause “submitted required supplemental documentation at http://www.va.gov/ osdbu to clearly explain the key steps necessary to submit an application and obtain verification.” Additionally, a technical change would be made to use the abbreviated form “CVE” for consistency. Amend § 74.2(b) to address the impact of criminal activity on eligibility and thus better protect the government from fraud, waste, and abuse. The title would be amended to reference the System for Award Management (SAM), which has replaced the Excluded Parties List System. Additionally, the language of the first sentence would be amended to address the impact of 38 U.S.C. 8127(g)(3), which now VA authority to exclude all principals in the business concern. Accordingly, the language of § 74.2 would be amended to specify that the debarment of any individual holding an ownership and control interest in the concern will impact the concern’s eligibility. Amend § 74.2(c) by adding the phrase “false statements or information” to reference the title and provide further clarification on the eligibility requirements. The removal provision would be additionally reworded to clarify that removal is immediate. Finally, a technical change would remove the word “the” before CVE in the last sentence. Amend § 74.2(d) by including tax liens and unresolved debts owed to various governmental entities outside of the federal government as financial obligations that would disqualify an applicant for inclusion in the VIP database. The title would be additionally amended to reflect this change. If after verifying the participant’s eligibility, CVE discovers that the participant no longer satisfies this requirement, CVE will remove the participant from the VIP database in accordance with § 74.22. Finally, a technical change would remove the word “VetBiz” before verification in the last sentence. Amend § 74.2(f) to specifically reference the System for Award Management (SAM) registration. SAM is a consolidated listing of previous databases and was not in existence at the time the original regulation was created and therefore was not referenced. Registration through SAM is required by 48 CFR 4.1200 as supplemented by 48 CFR 804.1102. Amend § 74.3(a) to reflect that ownership is determined in accordance with 13 CFR part 125 as the result of the amendments to Title 38 of the United States Code as set forth in the NDAA. Amend § 74.3(e) to redesignate this paragraph as § 74.3(b) to account for the removal of paragraphs (a)-(d). VA is proposing to amend § 74.3(b)(1) by a technical change to replace “application” with “VA Form 0877” in order to clarify the requirement and conform language to the rest of the regulation. Amend § 74.3(b)(1) to add a 30-day time period for submission of a new application after a change in ownership. This change would provide CVE the ability to definitively and accurately track changes of ownership. Further, by adding a time period for a new application, the program would be better able to comply with its statutory mandate to verify that all concerns listed in the VIP Database meet the prescribed ownership and control requirements of the verification program. Amend § 74.3(b)(3) by a technical change to replace “application” with “VA Form 0877” in order to clarify the requirement and conform language to the rest of the regulation. Amend § 74.4(a) to state that control is determined in accordance with 13 CFR part 125 pursuant to the NDAA. Paragraphs (b)-(i) would be removed. Amend § 74.5 to include joint ventures. The paragraph would additionally be reworded to clearly establish that 38 CFR part 74 does not supersede 13 CFR part 121 with respect to size determinations. VA is proposing to add paragraph (b) to specifically address the eligibility of joint ventures. Subparagraphs (b)(1) and (b)(2) would be added to provide notice of applicable requirements outlined elsewhere in VA regulation. Amend § 74.10 to remove reference to the physical address for CVE. Addresses or methods for submission may change over time, and this change allows CVE to make reasonable and necessary adjustments without the need for an amendment to the regulation. This section would be further amended to remove the word “VetBiz” before verification, and change “located” to “contained” in the last sentence for better clarity. Finally, a technical change would remove the word “the” before CVE in the last sentence. Amend § 74.11 to redesignate paragraphs (c)-(g) to account for the addition of new paragraph (c). The VA is proposing to amend § 74.11(a) to accommodate a more veteran-friendly, customer service centric approach to processing applications. “Center for Veterans Enterprise” would be changed to “CVE” and “[t]he CVE” would be changed to “CVE.” Additionally, the VA is proposing to amend § 74.11(a) to incorporate the term “application days” and to increase the review period to 90 application days, when practicable, to accommodate time spent between registering for verification and the time that all required documentation is received and the application is deemed complete. Amend § 74.11(c) to address instances where CVE does not receive all requested documentation. 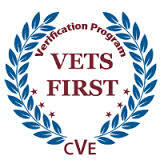 The VA must verify applicants prior to admission in the database. In order to comply with the statute, the VA requests documentation to demonstrate eligibility. This proposed revision would notify the public that failure to adequately respond to document requests may render CVE unable to verify the eligibility of a concern and therefore may result in a denial or administrative removal. Amend § 74.11(c) to be redesignated as § 74.11(d) and to make a technical change to insert a reference to the newly added paragraph (c). Additionally, the reference to paragraph (d) would be changed to paragraph (e) to account for the redesignation. VA is proposing to add the term “totality of circumstances” to clarify longstanding CVE interpretation and procedure. References to § 74.11(b) and § 74.13(a) would be added to highlight all applicable exceptions. Finally, a last sentence would be added to clarify the longstanding policy that the applicant bears the burden of establishing VOSB status. Amend § 74.11(d) to be redesignated as § 74.11(e). The first and second sentences would be amended by removing the word “adversely.” The third sentence would be removed as it refers to withdrawal or removal of verified status. This scenario will be addressed in § 74.21, which specifically deals with how participants can exit the VIP database. Therefore, the removal would help to eliminate redundancy and reduce the likelihood of confusion. Additionally, VA is proposing to add § 74.11(e)(1) to specifically address bankruptcy as a changed circumstance. Subparagraphs (a)-(c) would be added to outline requirements applicable to firms undergoing the bankruptcy process. Amend § 74.11(e) to be redesignated as § 74.11(f). Amend § 74.11(f) to be redesignated as § 74.11(g). Amend § 74.11(g) to be redesignated as § 74.11(h). A second sentence would be added to increase program efficiency by requiring firms to provide updated contact information. This would allow the program to use the most efficient methods to dispatch determinations and ensure that applicants will receive determinations in a timely manner. Amend § 74.12 to expand the list of required documentation in order to provide the public notice of documentation that is routinely requested by CVE. This amended list would include documents previously referenced by § 74.20(b). While the documents would still be required for examination as described in § 74.20(b), they also are initially required for the application. As the application is a concern’s first exposure to the process, VA finds this list would be more appropriately placed in this § 74.12 to notify the public of the documentary requirements. Additionally, “electronic form” would be changed to “VA Form 0877” throughout for clarity. Similarly, “attachments” would be changed to “supplemental documentation” throughout. Finally, the last two sentences would be removed for clarity. Amend § 74.13 to modify the title and to remove references to the previous reconsideration process, to include removing paragraphs (b)-(d). In accordance with the NDAA, appeals of initial denials on the grounds of ownership and control will be adjudicated by SBA’s Office of Hearings and Appeals (OHA) in accordance with 13 CFR part 134. Accordingly, Section 74.13 (a) would be amended to refer to the appeal process set forth in 13 CFR part 134. Amend § 74.13(e) to be redesignated as § 74.13(b). The VA is further proposing to modify this section to reflect the removal of the reconsideration process and to remove the phrase `service-disabled veteran’ as the term veteran is now used to refer to both veterans and service-disabled veterans throughout. The VA is proposing to delete paragraphs (f) and (g) as they are no longer relevant to the process. Amend § 74.14 to remove references to requests for reconsideration and to include notices of verified status cancellation and denials of appeals in the list of determinations that trigger a waiting period before a concern may submit a new verification application. Including denial of appeals takes into consideration any appeal filed with OHA that sustains the initial denial letter issued by the CVE. The program has instituted several procedures through policy to assist applicants to identify and address easily correctable issues that render the applicant ineligible. Therefore, the class of notices listed in § 74.14 are issued to applicants with substantial issues in their business structure or underlying documentation that result in ineligibility. Amend § 74.14 to be redesignated as § 74.14(a). A new paragraph § 74.14(b) would be added to clarify that a finding of ineligibility during a reapplication will result in the immediate removal of the participant. VA only intends, to the extent practicable, to list as verified in the VIP database concerns which currently meet verification requirements. This proposed change would clarify current policy and serve the important purpose of assisting contracting officers in the procurement process by ensuring the database only includes concerns that are eligible for an award of set aside procurements. A final technical change removes the word “VetBiz” before verification throughout. Amend § 74.15(a) by splitting the paragraph into paragraphs (a), (b), and (c). A technical change would be made to what would be redesignated as § 74.15(a) to improve specificity. A change would be made to what would be redesignated as § 74.15(b) to require participants to inform CVE within 30 days of changes affecting eligibility, consistent with § 74.3(f)(1). A substantive change would be made to the list that would be redesignated as § 74.15(c), which would be expanded to include all situations in which the eligibility period may be shortened. VA is proposing to remove § 74.15(b) because it deals with affiliation and would, therefore, be addressed in § 74.5. Therefore, any shortening of the eligibility period due to an affiliation determination would result from an SBA determination. This scenario would be addressed by § 74.2(e) and is referenced appropriately at what would be designated § 74.15(c). A technical change would remove the word “VetBiz” before verification throughout. Finally, paragraphs (c), (d), and (e) would be redesignated as (d), (e), and (f) respectively. The redesignated § 74.15(e) will be amended to reference immediate removals pursuant to § 74.2. Amend the first three sentences of § 74.20(b) for simplicity and clarification. In the first sentence, the phrase, “or parts of the program examination” would be removed. In the second sentence, “location” would be changed to “location(s)”. In the third sentence, the word “[e]xaminers” is changed to “CVE”. As the proposed revisions to § 74.12 would fully address the required documentation necessary for verification the complete list would be removed from § 74.20 in order to avoid redundancy and confusion. A final technical change removes the word “VetBiz” before verification throughout. Amend § 74.21(c) by referencing the immediate removal provisions established by and clarified in § 74.2. VA is proposing to amend § 74.21(c) and associated subparagraphs to be redesignated as § 74.21(d) and associated subparagraphs. Additionally, reference to the “verified’ status button” would be removed to reflect the current graphical user interface of the database. Remove § 74.21(c)(5) as involuntary exclusions would now be addressed in § 74.2. Amend § 74.21(c)(6) to be redesignated as Section 74.21(d)(5) to account for deletion of § 74.21(c)(5). Additionally, the phrase “or its agents” would be added to clarify who may request documents, and the words “a pattern of ” will be deleted to clarify the requirements necessary to remove a company for failure to provide the requested information. In the past, establishing a pattern of failure has led to ineligible firms maintaining verified status for an extended period of time by failing to provide requested documentation. This change would help CVE protect the integrity of the procurement process while still providing firms notice and opportunity to be heard prior to cancellation. Amend § 74.21(c)(7) to be redesignated as § 74.21(d)(6) to account for deletion of § 74.21(c)(5). Remove § 74.21(c)(8) as the action addressed by that provision would now be addressed in § 74.2. Amend § 74.21(c)(10) to be redesignated as § 74.21(d)(7). The term “application” would be removed as VA Form 0877 reflects current program requirements. “60 days” would be changed to “30 days” to conform with revised § 74.3(f)(1). Add § 74.21(d)(8) to notify the public that failure to report changed circumstances within 30 days is in and of itself good cause to initiate cancellation proceedings. Amend § 74.21(d) to be redesignated as § 74.21(e). Amend § 74.22(a) to begin the relevant 30-day time period on the date on which CVE sends notice of proposed cancellation of verified status. This change would provide the agency the ability to definitively and accurately track the cancellation proceedings. Additionally, this change would provide the agency the ability to control the regulatory time period and consistently apply the subsequent provisions of the paragraph. Amend § 74.22(e) to implement the new appeals procedure to OHA prescribed in the NDAA. Amend § 74.25 to replace “the Department” with “VA”. Amend § 74.26 to reflect the amended title of § 74.12. Amend § 74.27 to reword the first sentence to specify that all documents submitted to the program, not only those used to complete applications, will be stored electronically. Additionally, the “Vendor Information Pages” would be changed to “CVE” in order to clearly denote who will be in possession of the documents and responsible for their retention. The location reference would be removed due to the electronic nature of the records to be maintained by the program. The second sentence would be revised to indicate that any owner information provided will be compared to any available records. Finally, references to records management procedures to be followed and procedures governing data breaches would be added. Amend § 74.28 to replace “Department of Veterans Affairs” and “Center for Veterans Enterprises” to VA and CVE respectively. Amend § 74.29 to refer to VA’s records management procedures, which would govern, absent a timely written request from the Government Accountability Office. Remember, comments are due not later than March 12, 2018 at 11:59 PM EDT. You’ve served your country with pride. Now, as a government contractor, it’s only fair that you get your piece of the pie. 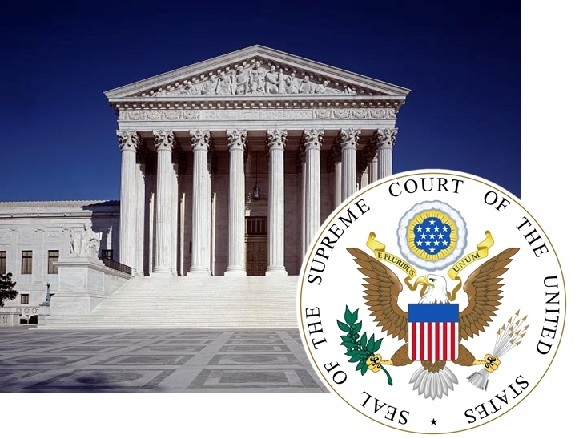 The VA and Kingdomware Technologies Inc. haven’t agreed on much in recent years, but in briefs filed with the Supreme Court on November 20, 2015, they agree on one thing: the pending Kingdomware Supreme Court case is not moot. Hopefully, the fact that neither party wants the case dismissed on a technicality will help convince the Court to decide Kingdomware on the merits. As you may recall, shortly before the Supreme Court was to hear oral argument earlier this month, the Court issued an order removing the case from its docket. The Court asked the parties to submit briefs on whether the contracts in question have been fully performed, and if so, whether full performance renders the case moot. Well, those briefs are in – and Kingdomware and the United States agree that the case is not moot. The Department of Veterans Affairs and Congress are working to make it easier for veterans to take advantage of a special veterans-focused contracting program while also protecting it from abuse. The bill, entitled the Improving Opportunities for Service-Disabled Veteran-Owned Small Business Act of 2015, would create an appeals process that lets a business owner take their case to the SBA’s office of hearings and appeals. The decision of the office would be considered the final word. Effective March 24, 2014, contractors required by the Vietnam Era Veterans’ Readjustment Assistance Act (VEVRAA) to develop a written affirmative action program (AAP) must also establish a hiring benchmark for protected veterans each year or adopt the national benchmark provided by the Office of Federal Contract Compliance Programs (OFCCP). Federal contractors use the VEVRAA Benchmark Database when establishing a hiring benchmark for protected veterans as required by 41 CFR 60-300.45. Contractors must compare the percentage of employees who are protected veterans in each of their establishments to the hiring benchmark set for that establishment. Contractors should use the result of this comparison when assessing the effectiveness of their veteran outreach and recruitment efforts. This VEVRAA Benchmark Database provides additional information regarding the establishment of hiring benchmarks and easy access to the national and State data that may be needed to establish these benchmarks. OFCCP has now posted the Benchmark Database required by the new regulations implementing the Vietnam Era Veterans’ Readjustment Assistance Act (VEVRAA). The database includes the annual national percentage of veterans in the civilian labor force for contractors that choose to use this number as their benchmark. It also includes data on the percentage of veterans in the labor force in each State and the number of veterans who participate in each State’s employment service, for use by those contractors choosing to develop an individualized benchmark. To help contractors use this database, OFCCP provides detailed user instructions and examples illustrating how a contractor could use the database to set an individualized VEVRAA benchmark. You can access the VEVRAA Benchmark Database through OFCCP’s Web site at http://www.dol-esa.gov/errd/VEVRAA.jsp. The Veterans Affairs Department plans to tap veteran-owned firms for management expertise and business support services through a five year contract starting in June. VA said its Agile Delivery of VA Imminent Strategic and Operational Requirements — or ADVISOR — indefinite delivery, indefinite quantity contract will cover four service groups: oversight, improvement, data and analysis, and training.